Lineage. Organized as 118 Aero Squadron on 31 Aug 1917. Redesignated 639 Aero Squadron on 1 Feb 1918. Demobilized on 6 Jun 1919. Reconstituted and consolidated (1936) with 118 Observation Squadron which, having been alloted to NG, was activated on 1 Nov 1923. Ordered to active service on 24 Feb 1941. Redesignated: 118 Observation Squadron (Light) on 13 Jan 1942; 118 Observation Squadron on 4 Jul 1942; 118 Reconnaissance Squadron (Fighter) on 2 Apr 1943; 118 Tactical Reconnaissance Squadron on 11 Aug 1943. Inactivated on 7 Nov 1945. Redesignated 118 Fighter Squadron, and allotted to CT ANG, on 24 May 1946. 118 Fighter Squadron (SE) extended federal recognition on 7 Aug 1946. Redesignated: 118 Fighter-Interceptor Squadron on 28 Sep 1950; 118 Fighter-Bomber Squadron on 1 Dec 1952; 118 Fighter-Interceptor Squadron on 1 May 1956; 118 Tactical Fighter Squadron on 30 Nov 1957; 118 Fighter-Interceptor Squadron on 1 Sep 1960; 118 Tactical Fighter Squadron on 12 Jun 1971; 118 Fighter Squadron, 15 Mar 1992; 118 Airlift Squadron on 1 Apr 2008-. Assignments. Unkn, 31 Aug 1917-Jun 1918; Second Corps Aeronautical School, Jun 1918-c. Mar 1919; unkn, c. Mar-6 Jun 1919. Connecticut NG (divisional aviation, 43d Division), 1 Nov 1923; IV Army Corps, 24 Feb 1941; 66 Observation (later Reconnaissance; Tactical Reconnaissance) Group, 1 Sep 1941; III Reconnaissance Command, Oct 1943; AAF, India-Burma Sector, Jan 1944 (attached to Tenth Air Force, 14 Feb-c. 12 Jun 1944); Fourteenth Air Force, c. 12 Jun 1944 (attached to 23rd Fighter Group, c. 16 Jun 1944-c. 15 Aug 1945); Tenth Air Force, 1 Aug 1945; Fourteenth Air Force, 25 Aug-7 Nov 1945. 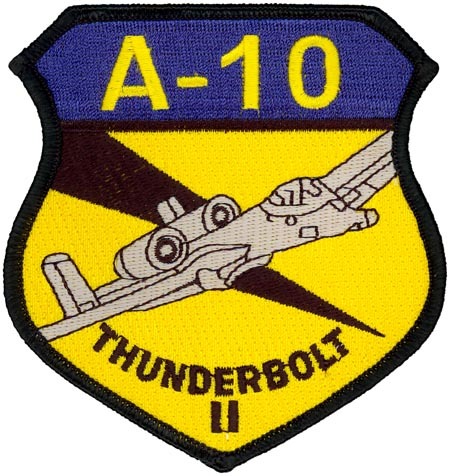 CT ANG, 7 Aug 1946; 103 Fighter Interceptor Group, 1 May 1956; 103 Tactical Fighter Group, 30 Nov 1957; 103 Fighter-Interceptor Group, 1 Sep 1960; 103 Tactical Fighter Group, 12 Jun 1971; 103 Fighter Group, 15 Mar 1992; 103 Fighter Wing, 11 Oct 1995; 103 Airlift Wing, 1 Apr 2008-. Aircraft. In addition to JN type TW-3, PT-1, BT-1, 0-2, and 0-17, briefly included DH-4, SE-5, and M-1 during period 1924-1932; O-38, 1931-c. 1937; in addition to O-46, 1936-1943. O-47, c. 1939-c. 1942, and P-39, c. 1942-1943, included O-49, O-57, O-58, and apparently O-59 during period , 1941-1942 and B-25, DB-7, L-5, apparently P-40 during period 1942-1943; in addition to P-40 and P-51, 1944-1945, included L-5, 1944-1945, and F-6, 1945. P-47N, 1946-1952; F-51H, 1952-1953; F-84D, 1953-1956; F-94B, 1956-1957; F-86H, 1957-1960; F-100A, 1960-1966; F/TF-102A, 1966-1971; F-100D/F, 1971-1979; A-10A, 1979-2008; C-21, 2007-. Operations. Constructed facilities, repaired aircraft and equipment, and served as transportation and supply unit in Zone of Advance, 1918-1919. Emergency operations while under state I control included surveillance flights in Connecticut during labor troubles in 1934. Antisubmarine patrols, 26 Jan-c. Aug 1942; air defense patrols in India in area to rear of combat zone, 28 Mar-4 Jun 1944; combat in CBI as fighter unit, 18 Jun 1944-21 Jan 1945, 16 Apr-11 Aug 1945. Called to active duty as part of the Korean War call-up to provide air defense for the New York/ New England area, 1 Feb 1951-1 Dec 1952. Called to active duty as part of the Berlin Crisis call-up to control Berlin-Frankfurt air corridor flights from Rothwesten Air Base, Germany, 1961-1962. Air defense of Northeastern US, 1950-1952, 1956-1957, 1960-1971. Close air support ground attack mission, 1971-2008. Participated in Operations: Deny Flight, 1993, 1994; Deliberate Force, 1994; Joint Guard, 1996; Allied Force, 1999; Northern Watch; Southern Watch, 2001; Iraqi Freedom, 2003; Enduring Freedom, 2003. Campaigns. Antisubmarine, American Theater; India-Burma; China Defensive; China Offensive. Decorations. Distinguished Unit Citation: Hunan Province, China, -25 Jun 1944. Emblem. Approved on 13 Aug 1953.